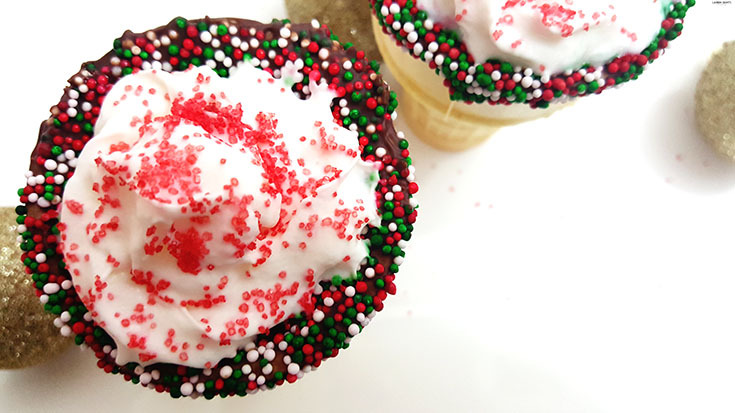 The holidays are quickly approaching, which can only mean one thing, I'm preparing desserts and tasty little treats a little more often and our house may or may not be covered in gold glitter, tinsel, and Christmas lights. I'm all about getting into the holiday spirit, whether that be giving thanks or spreading cheer - I love the joy and merriness surrounding this season. 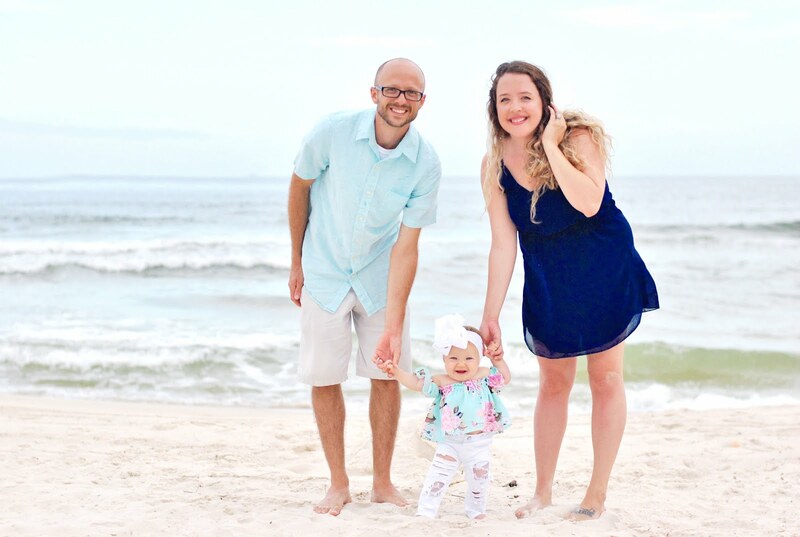 While our house is full of reminders of our childhood and little bits of joy, our bellies are craving something familiar and delicious and that's where International Delight comes into the picture. 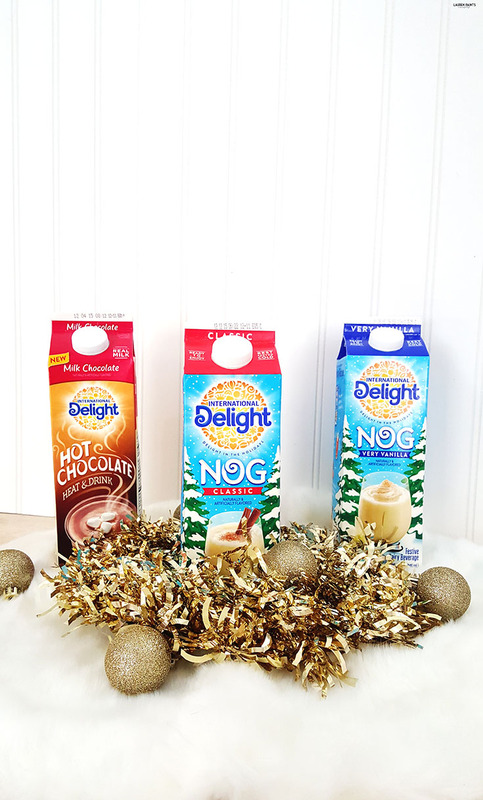 Their delicious line of Egg Nog and Hot Chocolate are the perfect compliment to any winter celebration! 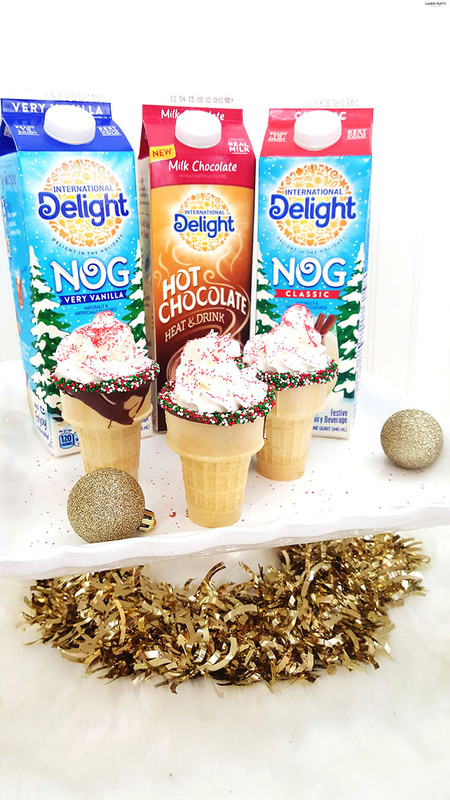 With flavors that capture the holidays perfectly, I can't imagine a better drink to fill my cup with as I reminisce about Christmas' past. While our cup runneth over with joy and delicious International Delight, this leads me to what I really want to share with you today. 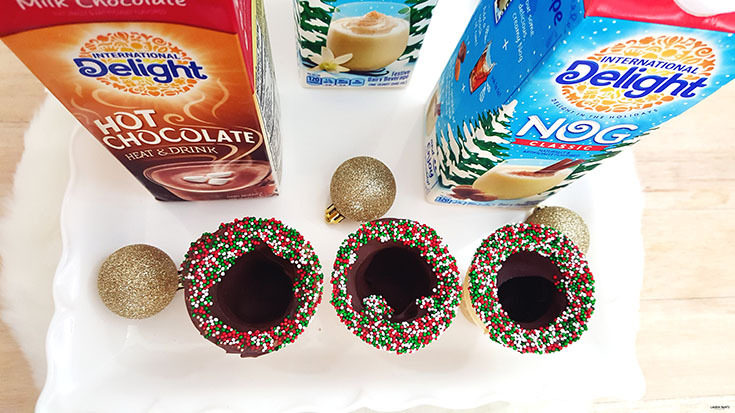 These tasty little cup alternatives are the BEST way to serve hot chocolate or egg nog to your friends and family, plus there's no dishes involved after the party because your guests can eat the cups! 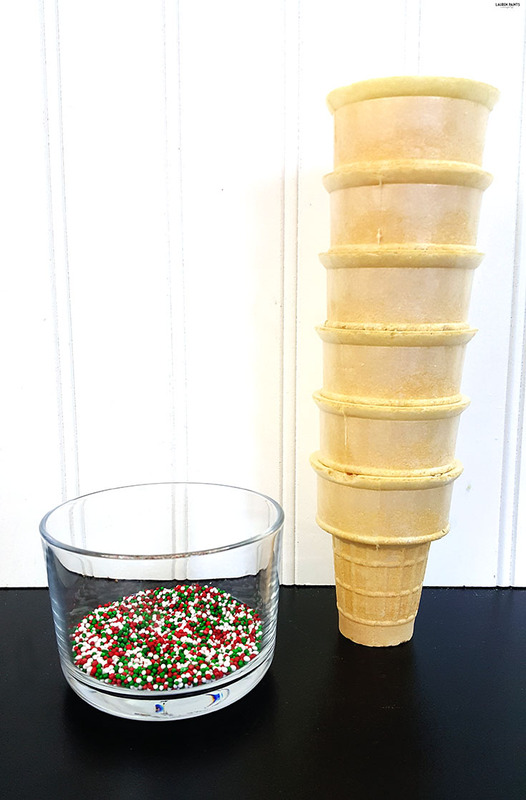 These super simple to prepare ice cream cone cups are such a fun and inventive way to serve up something delicious to all of your party guests and if you feel so inclined they'd be the perfect little something to hand out to carolers as well! If you're in the giving spirit then I suggest you grab an apron and your best mixing bowl and let's get started! 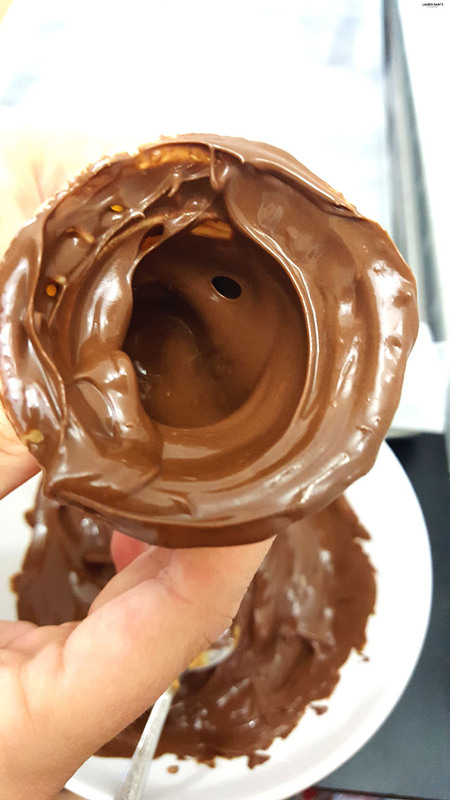 To get this cup making party started, melt the chocolate chips as directed on package. 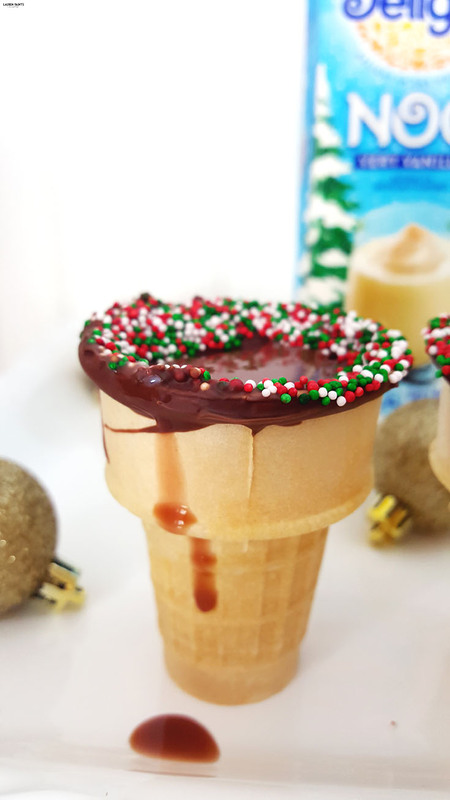 Fill each of the ice cream cones quickly with the melted chocolate, letting each one drip the excess for a few seconds but making sure there are NO HOLES in the chocolate coating. 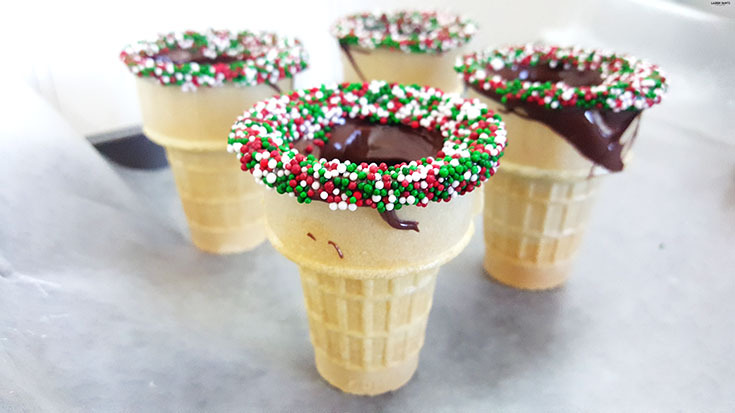 Next you'll dip the chocolate covered cone directly into a small bowl of sprinkles and place it on a cookie tray with wax paper or foil, if possible. That's it! 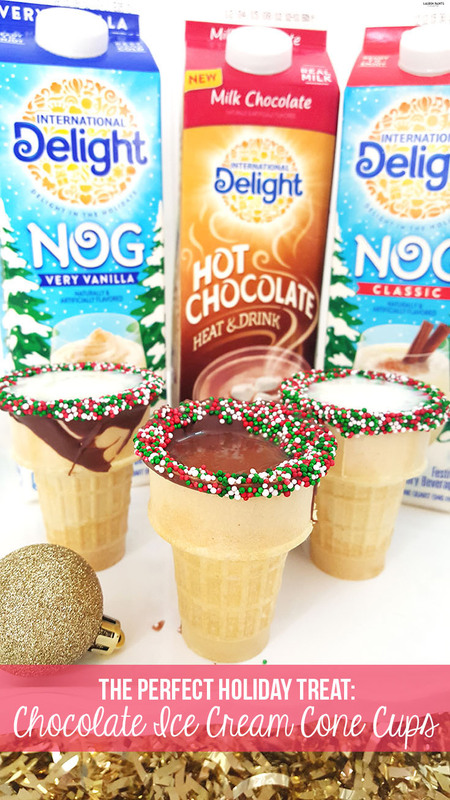 Stick these adorable little cups into the refrigerator for a few hours (or in the freezer for a few minutes) until the chocolate has set and they are ready to serve! 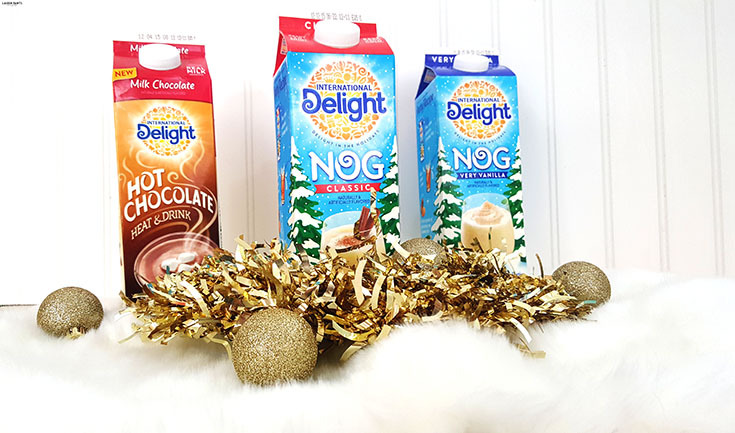 Now's the fun part, choose your favorite International Delight product: Hot Chocolate, Dark Hot Chocolate, Vanilla Egg Nog or Classic Egg Nog! 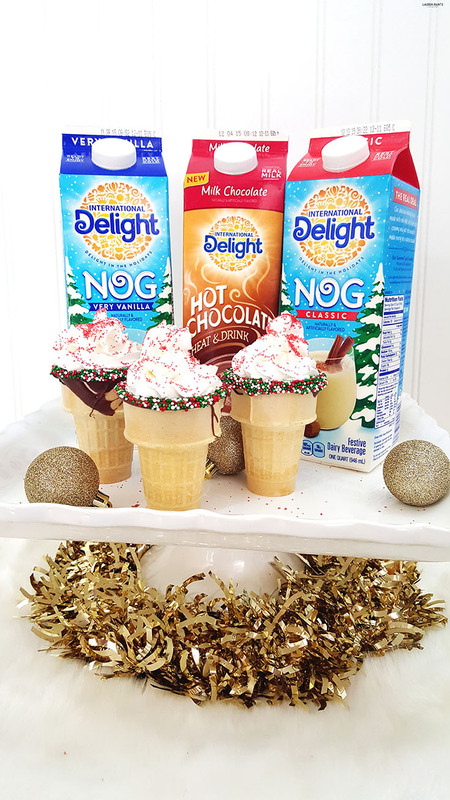 Fill each cup up with your beverage of choice within a few minutes of serving, make them a little prettier with a dash of whipped topping, and a pinch of sprinkles and you're all set to enjoy the best little treat you've ever tried! Try not having a good time with a drink like this in your hands! 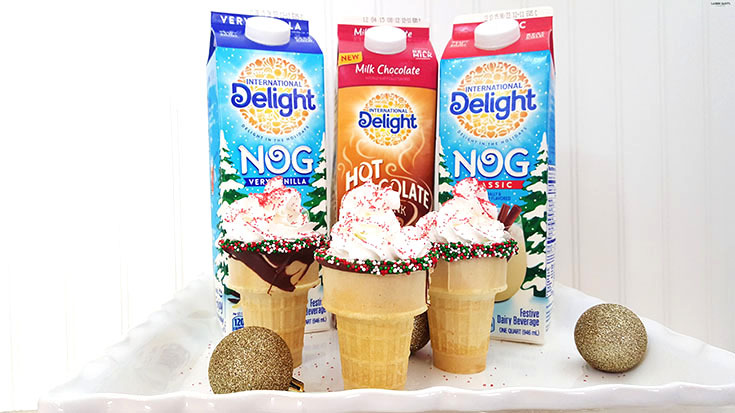 From the rich flavors of the ID Egg Nog to the comforting taste of the Hot Chocolate, your family and friends are bound to be smiling from ear to ear as they sip on their favorite drink... and then eat their cup afterwards! 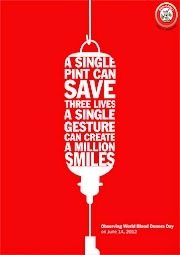 That's what the holidays are really all about in my mind, spreading joy to everyone. 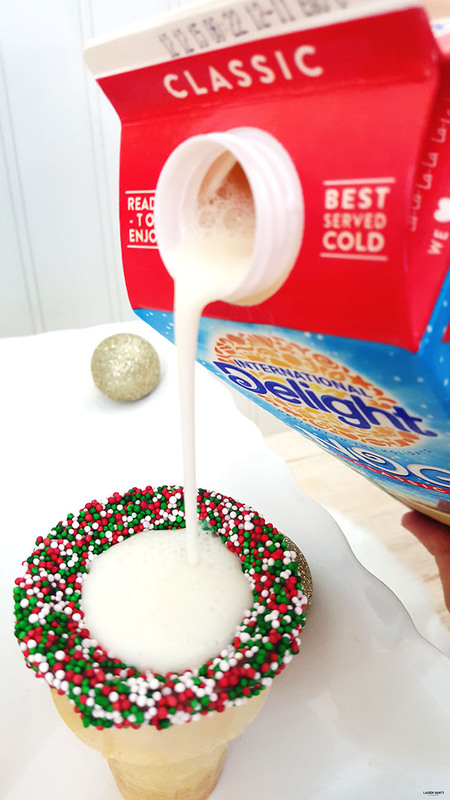 So now that I've shared a super fun way to get into the holiday spirit with everyone's favorite seasonal drinks, I think I should let you know something. 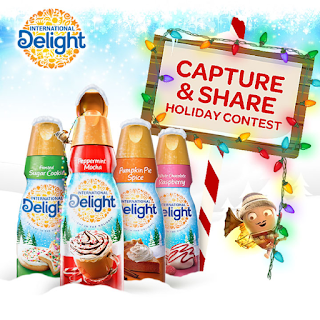 If you visit InternationalDelight.com and share how ID helps you capture the holiday spirit you could win a $5,000 holiday brunch hosted by International Delight! I guess I should also let you know, if you click over now, you can score a coupon - so what are you waiting for? 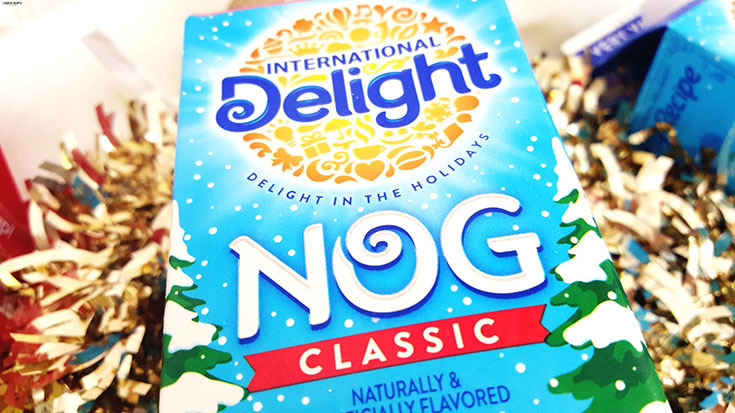 It's time to get into the holiday spirit with International Delight!